SubScena for theatre, performance and hybrid art is dedicated to supporting original performance, dance, circus and theatrical styles. SubScena connects and develops diverse practices of avantgarde artists and art collectives, via introducing and developing independent, original and stimulating art in the project’s alternative framework. SubScena’s year round programme is based on local, regional and international art productions and coproductions, guest performances & residencies. We welcome any and all experimental theatrical practices – disobedient and intimist; nonprofit and sustainable; subversive and independent. SubScena is specifically oriented towards supporting creative endeavours of emerging performance groups and artists aiming to overcome geographical, national, religious, gender and ethnic qualifications in their national or international collaborations and productions. By providing a safe production, collaboration and presentation space for residents and visiting artists – the program aims to empower the independent DIY and underground performance scene in Croatia and beyond, and to support artistic research and the creation of new performance modes and open discussions enabling an active public insight. This residency and/or performance opportunity is open to performance artists innovating their work via avantgarde and experimental practices, creating a theatre which is both disobedient and personal, experimental and stimulating, non-profit but sustainable, subversive and independent. Following the applications period, the selected artists/groups will be informed on the selection during September 2018, resulting in the productions plan application to cultural funding for programmes to be realized in 2019 (via which the programmatic funds are acquired and distributed). SubScena for theatrical, performance and hybrid art is a non-profit partner project by Autonomous Cultural Center Attack and Cirkorama Association, realized at AKC Medika (Pierottijeva 11, Zagreb, CRO), aiming to affirm and interconnect avantgarde and experimental Croatian/regional/international artists regardless of their art’s genres, styles or periods. SubScena incites any artistically meaningful – both radical or subtle performance creation process, while developing and promoting experimental public development strategies and the establishment of a contemporary artistic discourse. 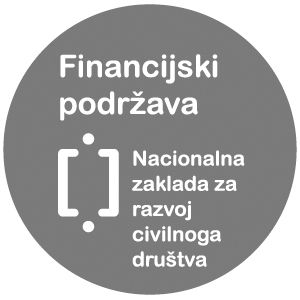 The project is financially supported by the City of Zagreb, the Ministry of Culture of the Republic of Croatia, “Kultura Nova” Foundation and the National Foundation for Civil Society Development.